Martha Berry sends her tax money needed for Tampa, FL. 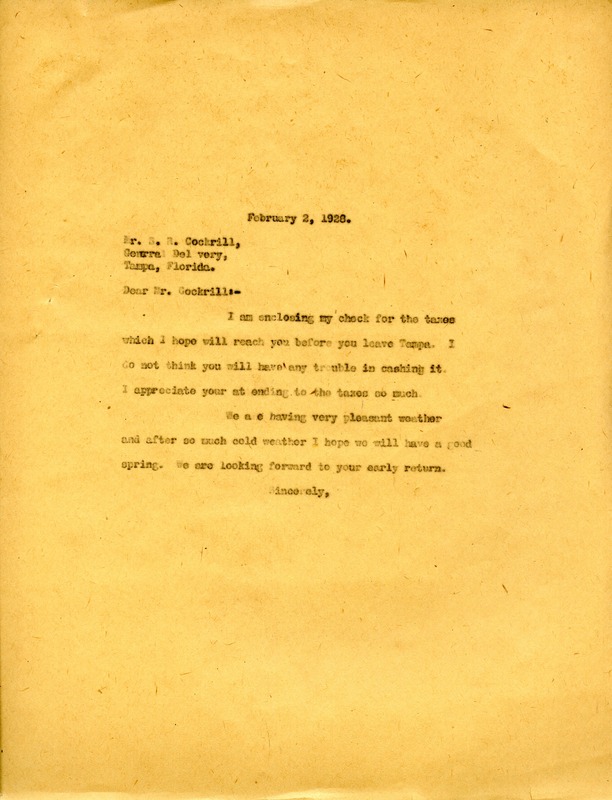 Miss Martha Berry, “Letter to Mr. S.R. Cockrill from Martha Berry.” Martha Berry Digital Archive. Eds. Schlitz, Stephanie A., Meg Ratliff, Rachel Renaud, et al. Mount Berry: Berry College, 2012. accessed April 25, 2019, https://mbda.berry.edu/items/show/7029.